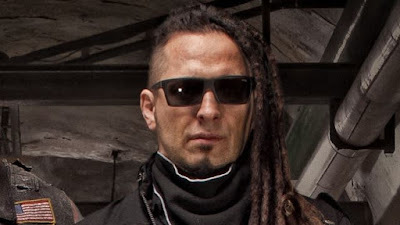 Zoltan Bathory recently talked with Revolver Magazine about first single "Jekyll And Hyde". Below you can read an excerpt. Zoltan said: "That one has a funny story. Ivan Moody doesn't sleep at night, so it's pretty often that he'll call one of us at four or five in the morning and leave crazy messages on our phones. And what happened was, Jason Hook was going through his voicemail and found dozens and dozens of these messages from Ivan. So he copied them onto a hard drive and then we pulled out different words and sentences and put them together. And that's the verses of the song. They're taken directly from Jason's phone. It's one of my favorite songs on the record, just because it's so bizarre."